Welcome to Day 8 of 30 Days of Q&A. I am going to be answering questions around returning to work. 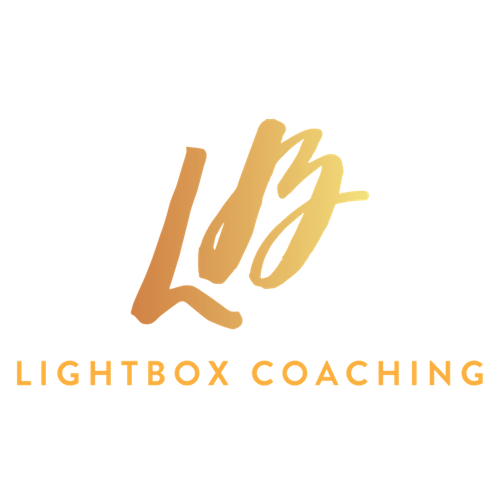 For those of you that don’t know me, my name is Janine Esbrand and I am the founder of LightBOX Coaching where I help women to build careers that they love whilst raising a family. So, I am going to be touching on topics of returning to work over the next few days. Because I have a number of questions around that and I get questions around this a lot from the clients that I worked with. We are going to talk about returning to work. One of the big things that come up when people are preparing to return to work after being on maternity leave or career break is confidence. A lot of people feel as though when they have been out of the office for some time whether that is 3, 6 or 9 months or a year you have been in maternity leave that you might have forgotten some of the things that you are doing before. You are not quite sure whether or not you are able to get back up to speed. I want to share with you a really easy but effective way that you can boost your confidence before you are heading back to work. You should remember that the time you have been out of the office is a lot shorter than the time that you were working previously. You may have invested a couple of years, 5 years or 10 years in your career before you actually take a career break. So, you have been in the work force for a lot longer than the time you have been away. Remind yourself of that that you have only been out for a short period of time if you look at it in the whole. This is something I tell my private clients to do. You create a smile file which consists of any achievements that you had within your organisation and role, things you have done really well and projects that you have worked on that have really good results and feedback. You also want to be noting down specific feedback that you have got from people, your managers, colleagues and clients. You want to list and write down all basically the winnings and positive impact that you have. You spend time doing that. You spend time reflecting on what you have done well and the feedback that you have got. That can help you to realize that you have a lot to offer. That you did all of these things before and there is absolutely no reason why you are not going to be able to go back and do them. So, once the baby brain leaves and you get back into the serious things and you are in work mode again, all of your skills and trainings that you had before will rush back and play back and you will be able to do the job that you did before. But you need to believe that and get yourself in the mind frame that, yes, I can absolutely do this. Spend your time reflecting. Spend the time thinking about what you have done well in the past and that is going to boost your confidence. We often focus on the negative, so it is really easy to bypass all the good things that happened and maybe focus on a few negative things that happened or feedback that you got. But if you can really take some time to remember to dig deep in the archives of your brain and spend a few minutes or maybe half an hour just thinking back over things that you have done. If you have got access to your old emails and scrolling through them or projects that you were working on, you can bring yourself back to that time and remind yourself of the good work that you have done in the past. Then know that you will be able to do that good work again. That is a really easy way to boost your confidence. I want to encourage you to do that when you are in the mind frame of returning to work. I would love for you to come and join me in my private Facebook group, Careers Beyond Motherhood, where there are lots of wonderful women supporting and encouraging them in their careers beyond motherhood. We do live training in there. We talk about careers, motherhood and how we can be supporting one another to get ourselves to the next level in both areas. Do come and join us there.